I was devastated when I first saw my hair was falling out. It was in the shower, on my pillow and looking at the amount my hair was thinning, really affected my self-confidence. 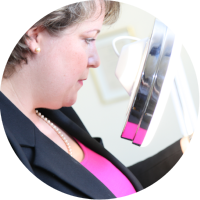 Lucky for me, I found Sussex Trichology, a qualified and experienced consultant trichologist. Shuna is both of the member of The Institute of Trichologists and Royal Society of Medicine. She is professional, reassuring and so caring.